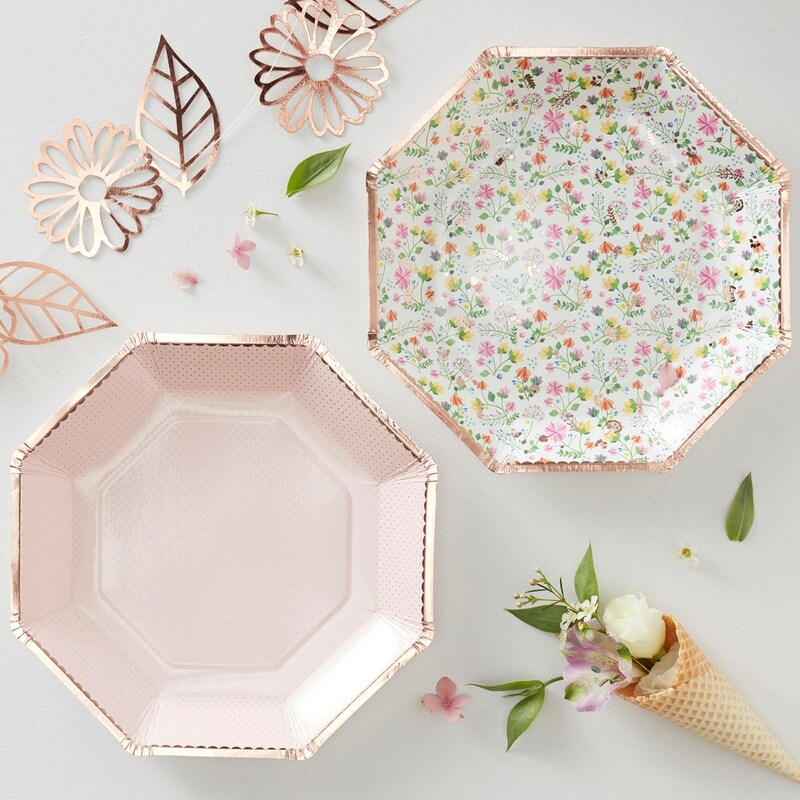 Be sure to have the cutest party with these floral and pink dotty Rose Gold foiled plates. The pack contains two designs, one soft pink plate with Rose Gold dotty foiling and one Floral Print, both with stunning Rose Gold edging. Each pack contains 4 floral designs and 4 pink dotty designs. Each plate measures 230mm.